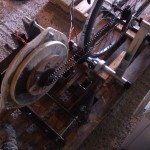 Ever since the notion of pedaling my own power struck me, David Butcher’s Pedal Powered Prime Mover has always appealed. 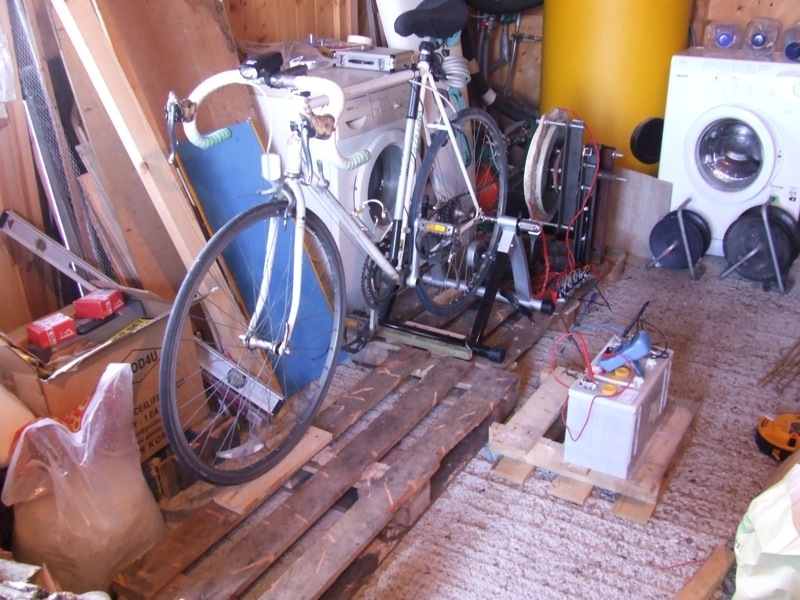 comparatively small footprint: the Turbike takes up two pallets worth of floor-space; the PPPM might consume (based on a visual guess) slightly under one pallets worth. 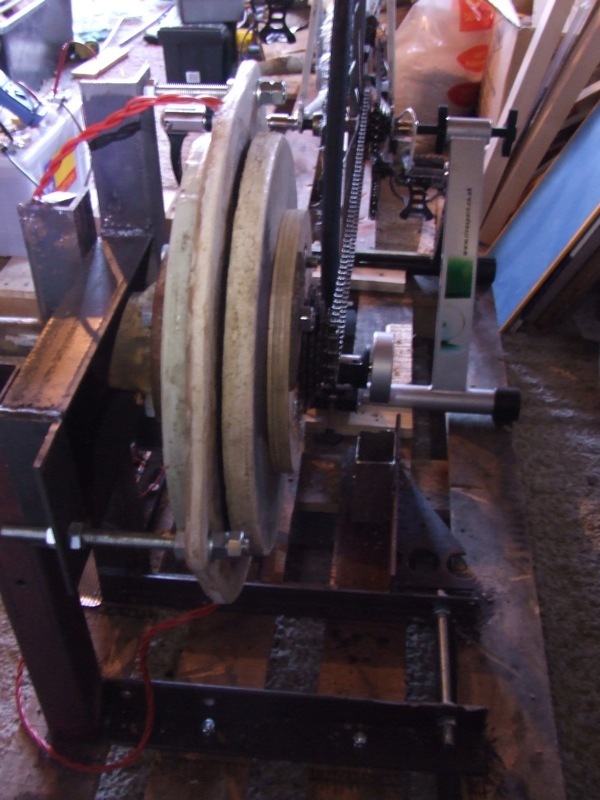 cheaper to make: magnets… steel discs (2 x 10mm thick, laser-cut into perfect circles)… 2-3m of angle iron… 2-3m box iron… welding rods… bike chain… bike training stand… and you’re suddenly well over €500 (whereas the PPPM plans cost $50 and materials maybe $250). 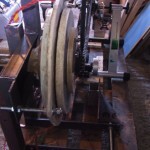 flexibility: the PPPM’s design allows it be more readily adjusted to mechanically power drills, saws, hammers… and perhaps more. 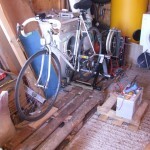 Adapting the Turbike to do the same would be far more complex. 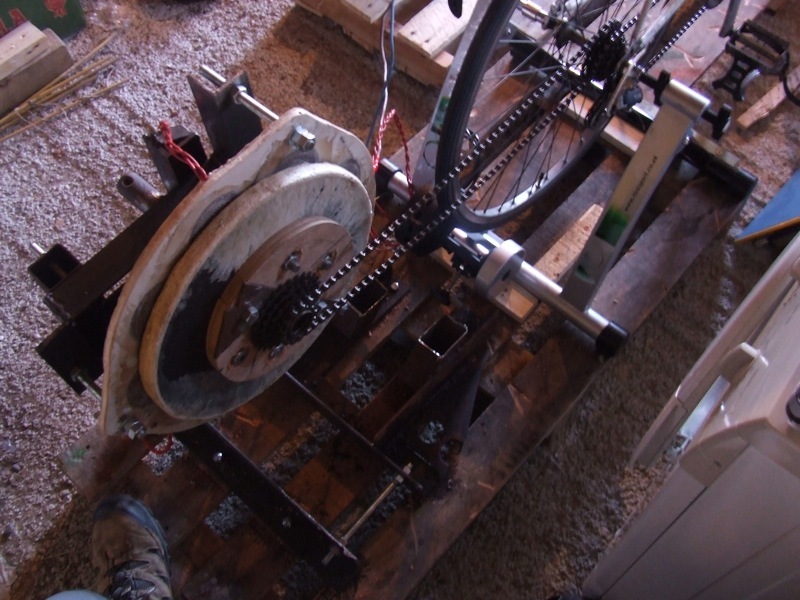 So, about the only way in which the Turbike might trump the PPPM is in power output – and clearly, given the time and money costs involved in constructing it, the Turbike would need to put out a LOT more power than the PPPM to make it worth the finances and time invested. 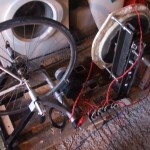 The Turbike’s power output potential is something I hope to share here once I’m sufficiently recovered from Follicular Lymphoma to get things up and running again. However this make take me several months. So, if you’re eager to get pedaling your own power, I suggest you consider David’s PPPM in the meantime. 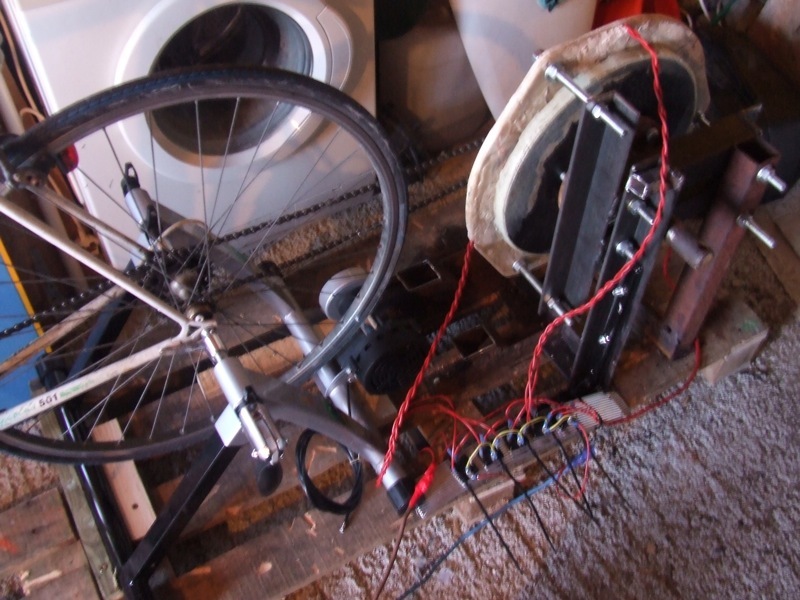 This entry was posted in Blog, Others and tagged human generated electricity, pedal electricity generator on May 18, 2014 by Sean Callagy.